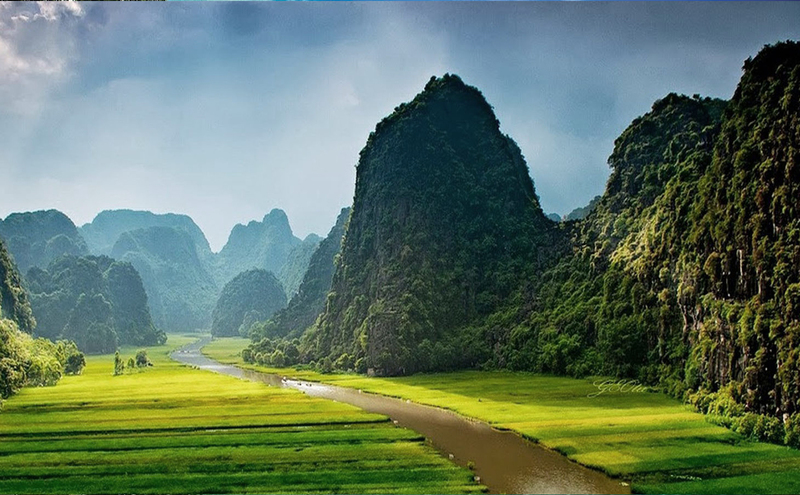 From 8:00 – 8:30, Our guide and bus pick you up from hotel and start driving to Ninh Binh, on the way, you experience the peaceful scenery along the Highway 1A, stop for a short break to stretch your legs. 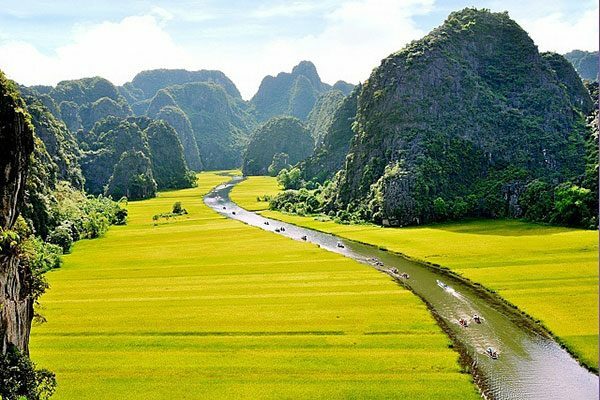 We arrive Ninh Binh and drive to Mua Cave with stunning rice fields with buffalos, goats…along the road till approaching Mua Cave. You walk up to the top of the mountain where Mua cave is located. 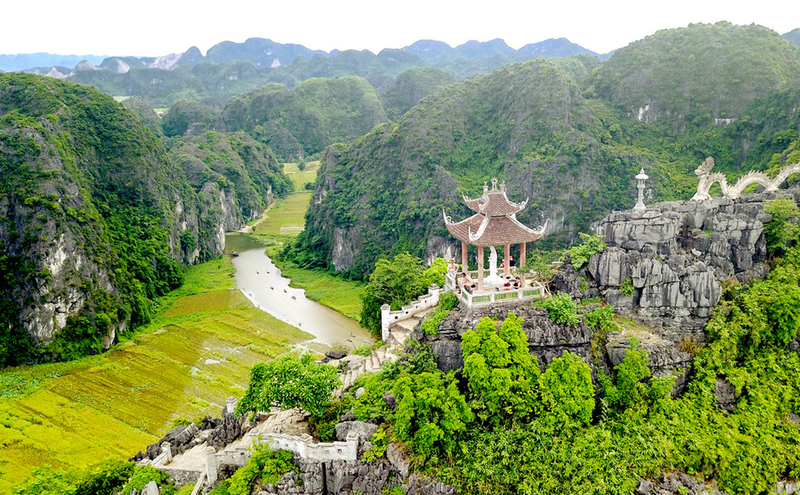 And then visit Tuyet Tinh Coc (the on top pagoda inside the cave) from there you can see the romantic lake surrounded by Karsts and jungles. You have buffet lunch with Vietnamese Cuisines in our restaurant, spend your own time at the bungalow such as swimming, relaxing until you get on the bus to Trang An. 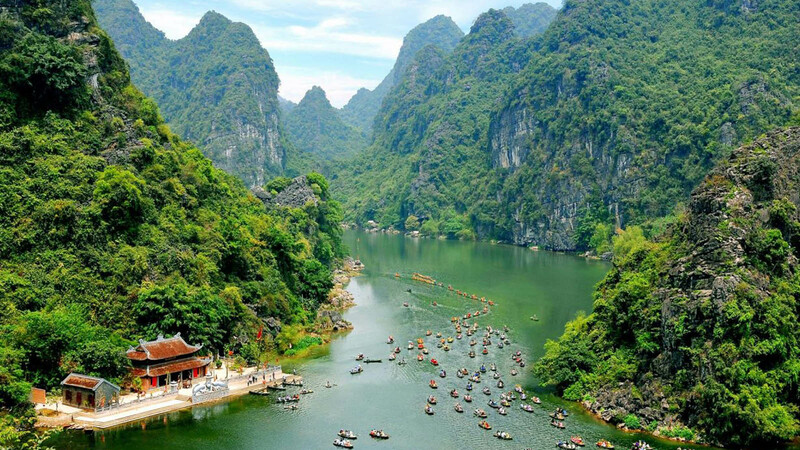 In the afternoon, You arrive Trang An Wharf – the most exciting boating trip with sampan boats through caves and visit stunning river surrounded by Limestone Karsts with rich fauna and flora. After visting Trang An you get on bus back to Ha Noi. Note: Your itinerary can be changed due to weather conditions. From 19:00, you are in Hanoi, we drop you off at your hotel, trip ends.